﻿ Handy Library Manager, tutorial: how to display addon icons on the desktop. Help, how to topics > Add-Ons, Search, Check In/Out, ... > How to display addon icon on the desktop? How to display add-on icon on the desktop? How to put library module icons on the desktop? Hot to create a shortcut to library search, checkout modules on the desktop? Where can I find Handy Library add-ons? 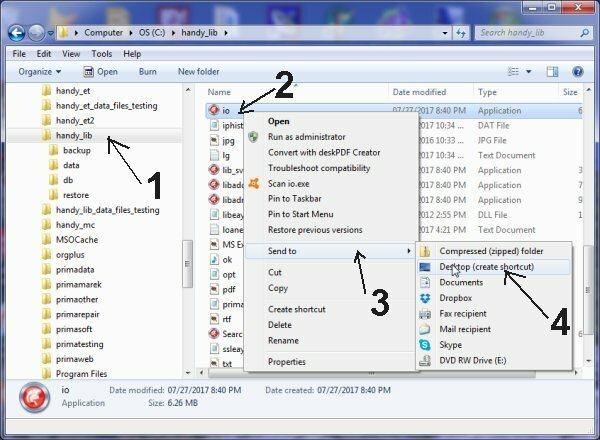 Right mouse button click (2) on the selected file opens popup menu. Select Send To (3), select Desktop (4). 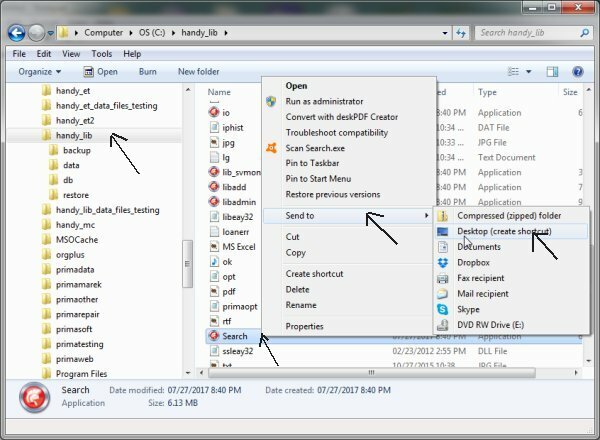 How to put the Search application on the desktop. Repeat above steps with search.exe file. 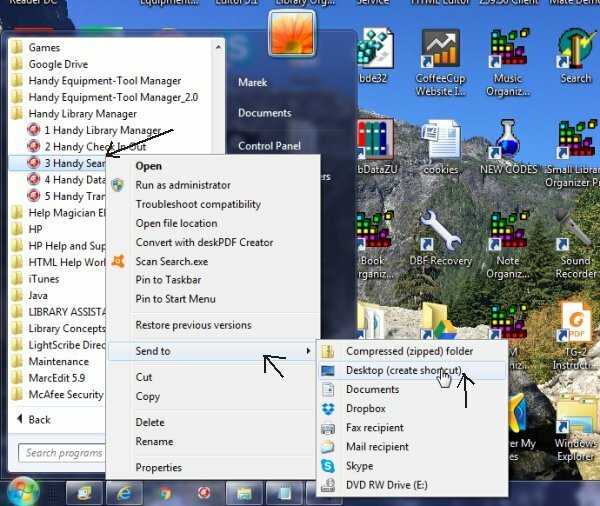 This is another method, use Windows Start Menu. Right click on the selected library module opens popup menu. Select Send To and select Desktop. Library Check In-Out module on the desktop (1). Library Search module on the desktop (2).